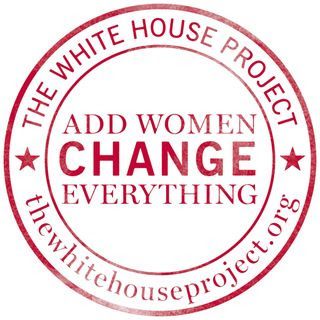 Instead of the annual weekend-long Go Run Training, this year The White House Project will offer a series of shorter trainings designed to build the skills, knowledge, and networks of emerging and existing women leaders. These trainings are meant to be safe spaces for women to explore and learn as well as to add skills and know-how to their "leadership toolboxes." Know a woman leader who might benefit from these training opportunities? Encourage her to attend - it could change everything! To register, please email Allie Arends at aarends@thewhitehouseproject.org. This is an opportunity in a safe environment to begin to understand the massive maze of the budget process in Minnesota. Learn Minnesota state budget basics, how the budget process works, how to engage decision makers and be an influential voice at the Capitol. You'll have an opportunity to ask any question you've had about the budget process. No question will be a dumb question! Boards, Commissions, Appointments... Oh My! If you're interested in stepping up your leadership, consider getting appointed to one of the many boards and commissions in your community. They exist at the state, county and municipal levels. And they, like all our governmental institutions, NEED DIVERSE VOICES AND PARTICIPATION. In addition to serving your community and expanding your networks, this is a great way to get behind the scene and dip your toe in public service. This training will help you learn how to find open positions, how to be strategic in choosing what commission would be best, and what you can do to improve your chances of being chosen. Have you ever thought about running for office, but you just don't know where to start? Come to this interactive session to begin to map out your next steps. You will get help assessing your strengths and possible hurdles. Identify some steps you can take that will help you get ready to run.